Registered in the British Virgin Islands, ExpressVPN provides Virtual Private Network (VPN) products for customers all over the world. With the best-in-class 256-bit AES encryption, custom software for each platform, and its educational features, it's no wonder ExpressVPN is considered among the best VPN services in the world. Claiming it does not and will never log traffic data, DNS queries, or anything that could be used to identify you, ExpressVPN allows you to connect as many as three devices simultaneously and has extensions for Firefox, Chrome, and Safari. All this comes with a risk-free 30-day money-back guarantee, no questions asked. This guide will show you how to add ExpressVPN extension to your Chrome browser. Locate and open Google’s Chrome browser. Navigate to the ExpressVPN website and click the red GetExpressVPN or Get started button. Complete all the steps to set up an account. If you already have an account, then you can sign in by clicking My account in the upper right part of the website and entering your credentials. Once you’ve signed in, you will be redirected to your dashboard. Click the Set Up on More Devices button. Clicking the Set Up on More Devices button will open a new page with all the options listed. Select Google Chrome. This will open another webpage from where you can quickly install your Chrome extension. A pop-up will appear asking you to confirm you want to add the extension. Click the Add extension button. A little ExpressVPN icon will appear in the upper right corner of your browser, to the left of the vertical three dots for Chrome Settings. In order to use the Chrome extension, you will, however, need to install the desktop app. You can do this by simply clicking the extension icon and clicking the Install Desktop App button. 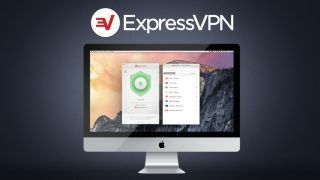 On the page that opens, choose and download your ExpressVPN desktop app (for Windows, Mac, or Linux). You can now take full advantage of your ExpressVPN Chrome and desktop app to surf anonymously at blazing speeds.